Personalised bespoke quilt commissions are always welcome. 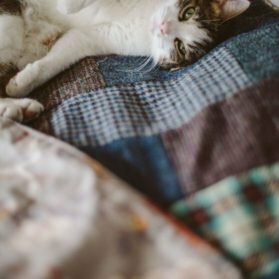 If you wish to make a quilt from cherished old clothes, or from your own special stash of fabric , Lisa will work with you to design a quilt to the size&style that fits you&your home. 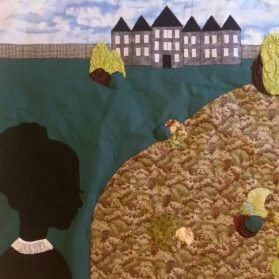 Lisa can also stitch a quilt (-floor cushion-tent-laptop cover-you decide) as a special gift to celebrate a significant event, or can make a unique quilt just for you or for a loved one. 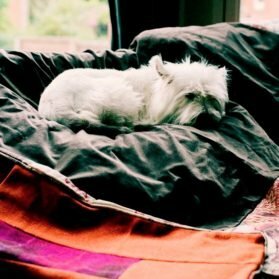 Just get in touch with Lisa to discuss your quilt ideas further. Wrap up warm in a Harris Tweed quilt. 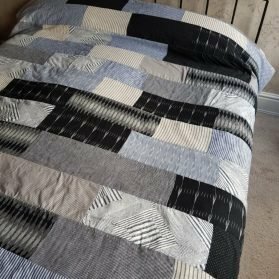 I am thrilled how well this monochromatic patchwork quilt looks. 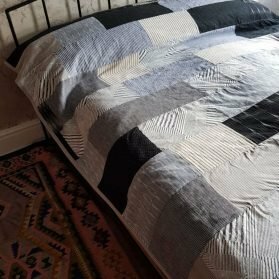 Joe&Rachel wished a cool grey lightweight summer patchwork quilt to keep any nighttime chills at bay, so I used a mixture of cottons, including some Japanese fabrics which reminded me of my recent adventures. Happy Days. 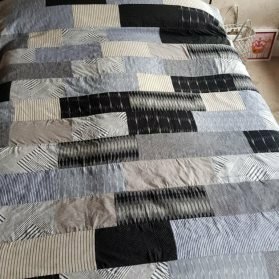 Here’s what Rachel wrote about her quilt; Our requirement was for a quilt to use as a cooler way (in every-way) to sleep under during in the summer months – our duvet being too hot and bulky. We have always admired Lisa’s work and commissioned her to make one for us. 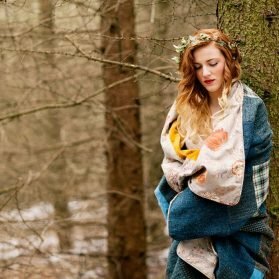 It was a great pleasure and fun to work with her from briefing, to choosing fabrics to seeing the finished quilt – and we love the result. 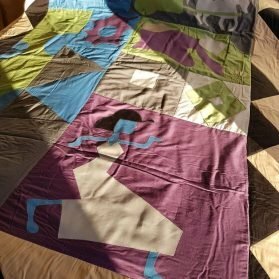 New year challenge; a bespoke quilt inspired by a cartoon; Cartoon Courage the Cowardly Dog / The Quilt Club. 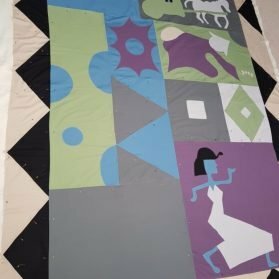 I have appliqued the design onto the quilt and stitched quilting lines along the large patchwork pieces. 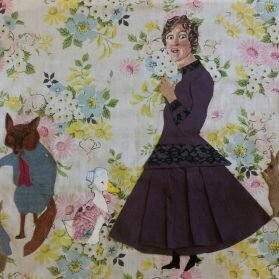 Following on from stitching successful patchwork panels (see previous post) for Lip Services’s new production; Mr Darcy Loses the Plot, the skills of the Avenue Crafters, the Crumpsall Craft Crewe, plus our Barbara, a talented solo ninja stitcher from Oldham, were called upon to create applique panels for the set backdrop. The deadline was tight but don’t these panels look truly amazing. Well done and thank you again to all the stitchers involved. 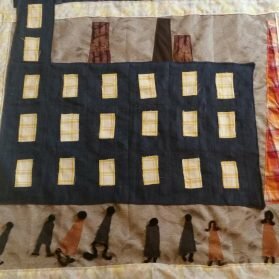 I started my quilts& business via a career in arts&education. I enjoy working with people to create artworks. 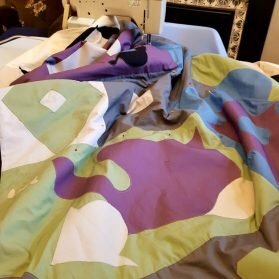 If you are interested in working with me on a collaborative project, visit lisawatsontextiles to find out more.